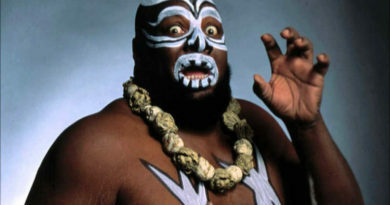 In 1989, the Earthquake made his WWF debut. He was an imposing figure. He began his career by crushing every opponent he faced. It was very intimidating and exciting at the same time as he would prepare for his finishing move, the Earthquake Splash, when he would jump around his opponents head shaking the entire ring. Of course one Earthquake Splash was never enough. He would have to do it 2 or 3 times until his opponent would be carried away on a stretcher. As Jesse Ventura would say, “It’s the aftershock, you always have to be prepared for it”. 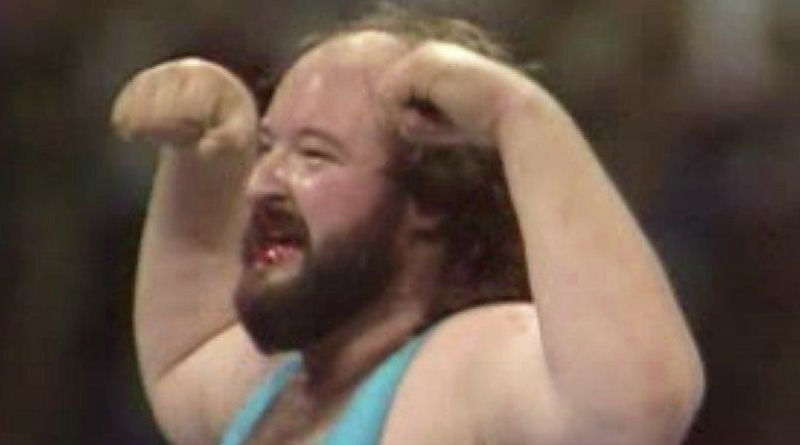 The first time I remember seeing Earthquake was when Dino Bravo was bragging about being Canada’s Strongest Man. He had proved it earlier in the 1988 Royal Rumble, but now it was Superstars of Wrestling in late 1989 and Dino Bravo was going to prove it again by doing push-ups with any member of the WWF audience on his back. Who else does Jimmy Hart pick than The Earthquake. Unbeknownst to the average fan, this was actually a wrestler. Dino Bravo starts by doing at least 5 push-ups with this monster on his back. Next up it is The Ultimate Warrior’s turn. Before the Warrior even starts to do his push-ups, the Earthquake and Dino Bravo attack him and viciously beat him down. It’s hard to make a much bigger entrance into the WWF than beating The Ultimate Warrior who was the current Intercontinental Champion. The prelude to Wrestlemania VI began shortly after Earthquake’s debut at the 1990 Royal Rumble when Hulk Hogan and The Ultimate Warrior first clashed in the ring. Leading up to Wrestlemania VI both Hulk Hogan and The Ultimate Warrior, at separate times, wrestled against the Natural Disaster, Earthquake. I was screaming at the TV. Stop Earthquake Stop. You’re going to hurt him! One Earthquake splash. Two Earthquake splashes. Can’t anybody stop this monster? Then out of nowhere, here comes The Ultimate Warrior! He is going to stop the Earthquake from hurting Hulk Hogan. Hogan and Warrior proceed to clear both the Earthquake and Dino Bravo from the ring, when all of a sudden they bump backwards into each other. Fists are raised. Hogan thinks it was Warrior hurting him. It cannot be, my two favorite wrestlers, fighting each other. 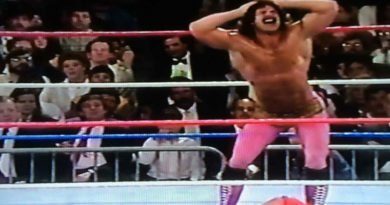 The next week on Superstars of Wrestling, it was the Ultimate Warrior’s turn to face the Earthquake. Just like with Hulk, Earthquake is crushing the Ultimate Warrior. Who is going to stop this monster? Yes! It’s Hulk Hogan. Hulk comes running into the ring and the Warrior and Hogan once again clear the ring. The build up to Wrestlemania VI was fantastic. Without the Earthquake, it would be very hard to setup The Ultimate Challenge where two baby faces are set to wrestle. However, the Earthquake crushing both champions helped make it extremely believable by helping to bring some animosity between my two heroes. On a final note, one of my favorite memories of Earthquake was when he would “flex his muscles”. I use quotes because he was such a big guy that he didn’t have any muscle definition compared to the wrestlers of his era. Share your favorite Earthquake moments using the form below. 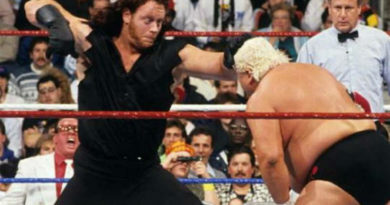 The Undertaker: Did He Ever Get Knocked Down?